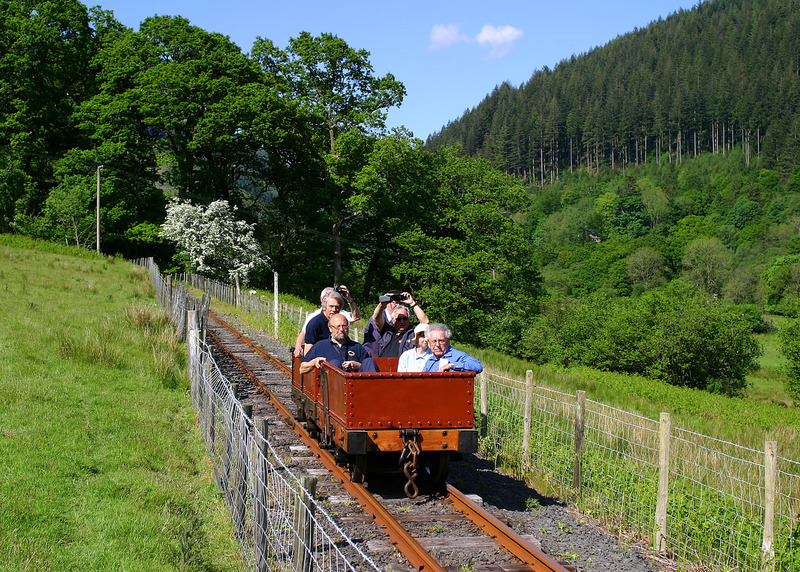 The 15:50 Corris to Maespoeth gravity train approaches its destination on 29 May 2016, during the Corris Railway's Gala Day. Note the brakesman controlling the descent. The very photogenic location and some unexpected, and very untypical, warm sunny bank holiday weather makes for an interesting picture.